Answer: yes! While teenage trends may be in the rearview mirror, it’s full throttle ahead for the slimmest silhouette of all: the skinny jean. As you age, the confidence you’ve gained in honing in on your favorite fits and styles is the perfect catalyst to try something new. Here’s how to wear a pair of skinny jeans—at any age. While skinny jeans are designed to be fitted, they’ll be uncomfortable if they’re too tight. Opt for denim that features higher cotton content to give you structure, but make sure it has a small percentage of spandex to provide flexibility for sitting and bending. Avoid super stretchy fabrics that tend to cling to your skin. Stylist Tip: Pass the pinch test: Pinch your jeans at the thigh; you should be able to hold some fabric between your fingers. If you can’t grab anything, they’re too tight. Thinking about what you love to do in your downtime or where you plan to wear your skinny jeans will help you decide which wash to choose. Light wash denim tends to be super casual, so if your daily wardrobe is jeans, tees and sneakers, these might be the pair for you. If denim is allowed in the workplace or you tend to dress up your denim, choose a dark wash for more professional feel. For maximum versatility, reach for a pair of medium wash denim so you can dress them up with a plaid button down or wear them with a henley–the possibilities are endless! Skinny jeans aren’t designed to hit the floor like some of your more wider leg denim–they just don’t have a wide enough leg opening to do so. 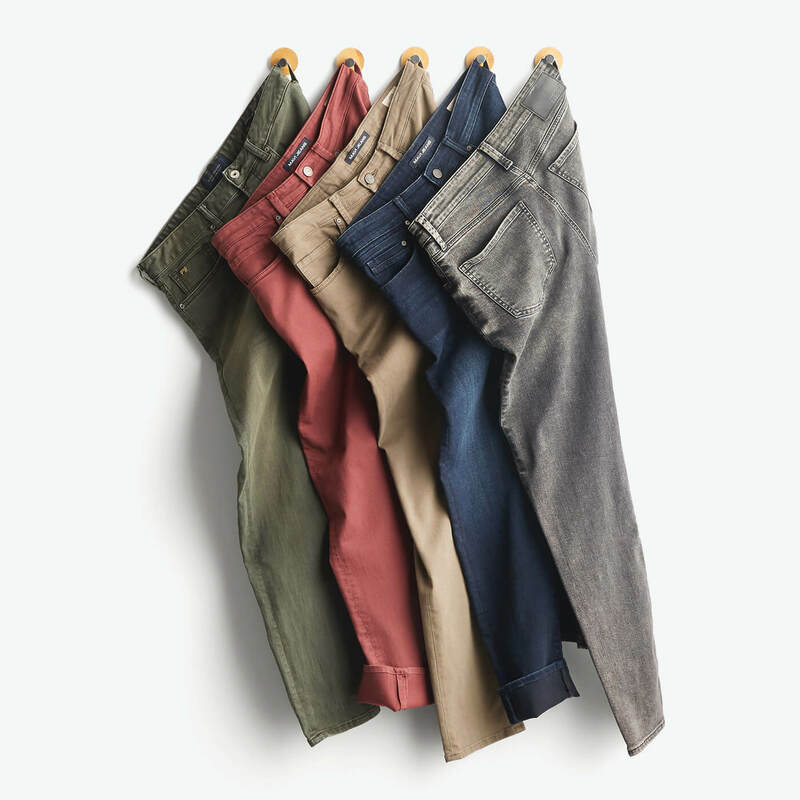 This means you might need an inseam that’s a bit shorter than your typical slim or straight fit jeans. Good news: Virtually any shoe style pairs with skinny jeans. To get the most stylish look, you’ll want to think about how you’ll be pairing them; if you plan on cuffing your skinnies with some fall boots, go with a pair with a slightly longer inseam to give you enough rolling material. Wearing them with your go-to sneakers or boat shoes? Opt for a pair that hits below the ankle and at the top of your shoe. In general, clothes that have a closer fit emanate a more polished and refined overall look. Skinny jeans are no exception. However, an all-over skinny fit can sometimes be too much of a good thing; creating balance will offer a more mature feel. Try your skinny jeans with a slim fit button down and layer a tailored blazer over for a dressier look. For a more casual look, reach for a hooded pullover and pack on the layers with a field jacket over to top off your skinny jeans. Love the idea of skinnies but aren’t completely on board yet? Start with slim fit jeans to test the fitted waters. Ready to give a pair of skinny jeans a try? Let us send a pair your way.